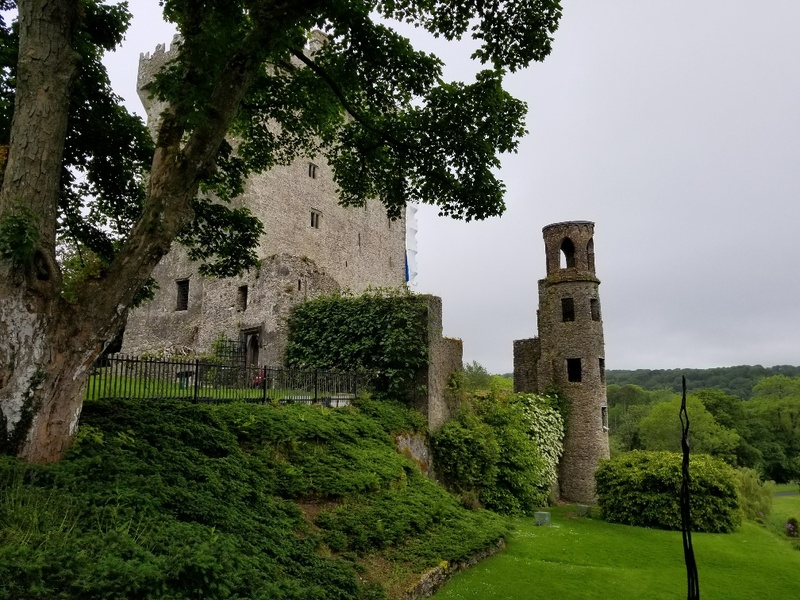 A misty rain persisted while I wandered, nearly alone, on the grounds surrounding Blarney Castle, in County Cork, Ireland. 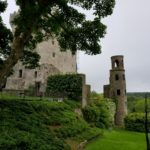 Not far away was a tower remnant where the famous Blarney Stone is kissed by 400,000 visitors a year. My husband opted for stone-kissing; I was drawn to the gardens surrounding it. In the Scheme of Things: Where Is Christmas? Its charming style suggests the work of young hands learning embroidery. 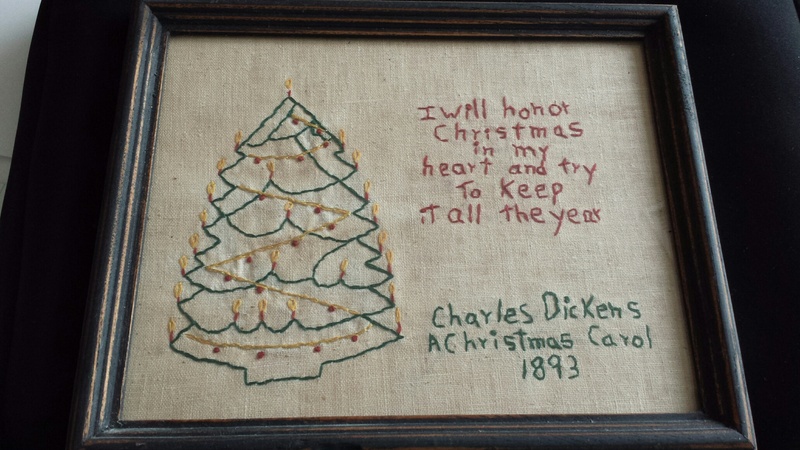 Years ago, I bought it in an out-of-the-way antique shop in Pennsylvania, where we lived at the time, as a Christmas present for my mother in California. 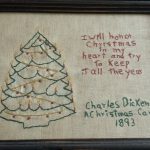 With her love of both Christmas and children, it seemed to call her name For three decades she had it on her living room wall, returning it to me as a gift a few years ago when she took ill.